Out with the old cells, and in with the new! Exfoliating isn’t the most glamorous of skin health topics. It is the process of shedding the outermost layer of dead skin cells while new cells are created underneath. Believe it or not, the human body sheds millions of skin cell particles every day. Fortunately for us, we don’t shed all of our skin at once like a snake! (I know you feel the same way I do: The thought of life-sized “skin people” all over the place is way too creepy to bear.) But tiny cell particles do slough off throughout the day without our even noticing. What evidence do we have that this is happening? The look and feel of our skin. Skin that is dim, rough and scaly is skin from which old cell growth has not yet been thoroughly stripped. Brighter, smoother skin is revealed when exfoliation has occurred. When we are teenagers, we completely regenerate the outer layer of skin every 14 to 20 days, on average. By the time we reach the age of 40, that same process can take up to 45 days or more. The result is dry, dehydrated, mottled skin that feels rough to the touch. In order to look our absolute best, we need a little help. This is when a good exfoliating scrub becomes so important to our skin care regimen. The secret to maintaining healthy, younger-looking skin is to give your cellular renewal process a little kick in the pants to keep it motivated. Exfoliating scrubs do just this. They contain small particles that help to remove the outer layer of dead skin cells by friction. 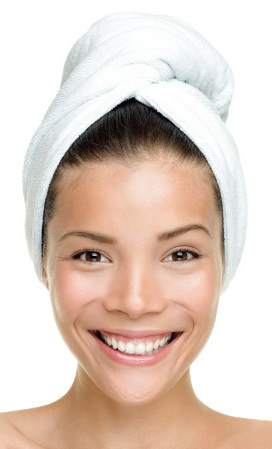 The act of “scrubbing” removes the skin cell buildup revealing new, healthy skin below. Remove dirt and debris that can clog the pores. Improve the texture of your skin. Leave your skin feeling smooth and soft. Allow makeup to go on more evenly. Allow other skin care products to penetrate into your skin more effectively. I recommend that you – men and women – use the Herbalife SKIN Instant Reveal Berry Scrub one to three times a week, for a noticeable improvement in the way your skin looks and feels.